Each box has five (5) fast acting drink mixes. This great tasting powder can be added to water for a safe and natural energy drink. 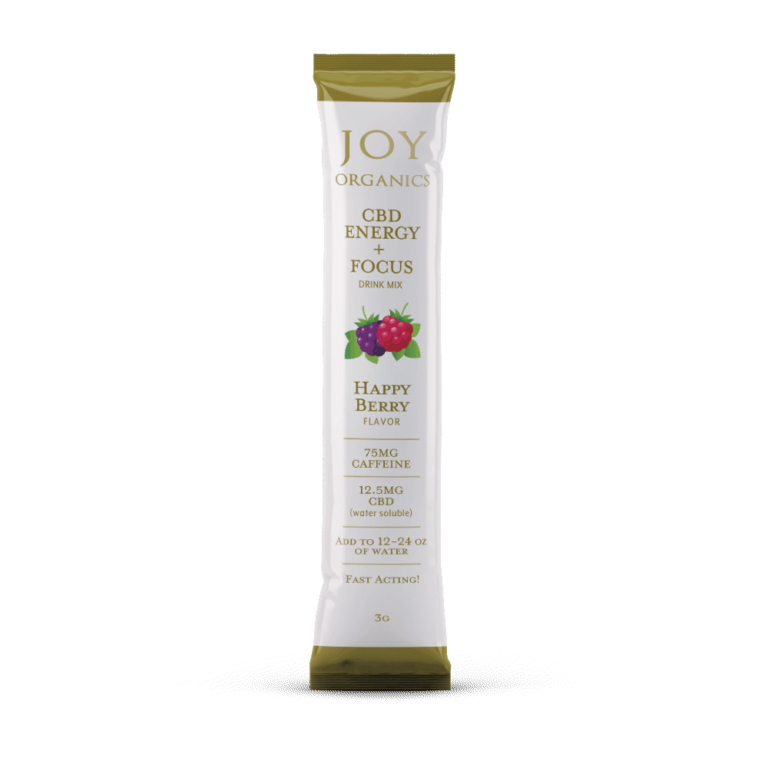 Joy Organics’ CBD Energy + Focus energy packs have a wide range of vitamins, as well as caffeine to give you the boost you want to get the most out of your next workout. Experience the difference of Joy’s full spectrum, zero THC powder.